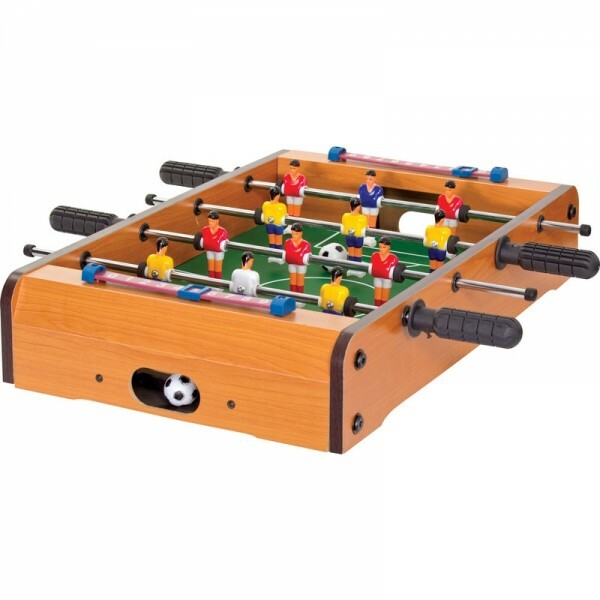 This miniaturised version of a classic football table gives each player a pair of rails, both lined with three players in corresponding team strips. Push and pull the handles to move the line from side to side and twist them to make your players kick. With a ball and score slider at both ends, it's a brilliantly simpler version of the popular arcade game that you can play anytime, anywhere. It's a great option if you're short on space - you can play on a dining table or on the bedroom floor. The experience is really similar to the full size version, but more portable and adaptable. It's great for younger children, as there are less bars to have to worry about than with the full sized game.